“Initially, I was attracted to Belize by its natural beauty and environment, including the opportunity it offers for scuba diving and water sports,” Helena Hess says. “Thinking back to when this country first got my attention, I realize that, then, I wasn’t in a hurry. I had a lucrative career. I wasn’t thinking of making an international move. Instead, my husband and I invested in a vacation home on the island of Ambergris Caye. For eight years, we traveled to Belize yearly, to relax and to scuba dive. “I wanted to be sure before committing to something as dramatic as a move to another country. When I did think about the idea, I mainly considered living in Belize part time. “But then came 2008, and everything changed. My best friend and coworker, a 50-year-old senior VP, lost her ’secure’ management job. Would I be next? I knew the time had come for me to get serious about making a move, even a full-time one. As more financial and political landmines exploded around me every day, I began to plan my escape. “In the end, I chose Belize because it provided me with a safe haven in this difficult time. And moving here allowed me to retire eight years earlier than if I had remained in the States. “Through Belize’s Qualified Retired Person (QRP) program, I obtained my residency in less than four months. That part was easy. The difficult part was making the decision to make the move in the first place. “Now I live on ’Temptation Island.’ Remember the 2001 Fox reality show? The Hollywood producers left Belize long ago, but the beauty and charm of San Pedro, Ambergris Caye, remain. This short-lived TV show provided great exposure for this little country! “I moved to Belize as a QRP retiree, but I wasn’t seeking ’retirement’ in any conventional sense. My goal was and is to remain active and to participate fully in life. Now I’m involved in an athletic club on Ambergris. It’s easy to stay healthy here, especially as I can work out at the club most days. “Perhaps the most important point to be made is that you don’t need a big retirement account or income to live the good life here. My husband and I are living a great life, and we get by on much, much less than we were spending to live back in the States. 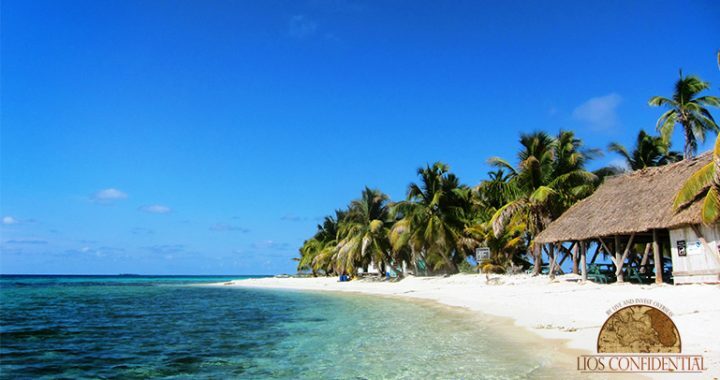 “As I packed my bags for Belize, I knew that the U.S. economy was in serious trouble. But it wasn’t clear how bad it would get in that country. I’m relieved to have escaped in June of 2008. Like everyone else, our investments and 401(k)s have taken major hits. But my husband and I will be OK. The cost of living here is very affordable. And the banks are secure. “And you don’t have to become a full-time expat if you don’t want to. That’s one of the best parts of Belize’s QRP program. You can take advantage of the benefits it offers even if you spend only four weeks a year in the country. “Most North Americans realize that their quality of life is declining. At the same time, countries that once seemed remote are now within easy reach. And they have much to offer. “We pay a high price to reside in North America. For many, the price has become too high. I’m one of those people. “But I understand how intimidating the idea of relocating abroad can be at first. Again, that’s a big part of the reason Belize makes so much sense. It offers one of the most user-friendly and most affordable foreign residency programs in the world. “It also allows for a quality of life that, for my husband and me, is the biggest benefit of having made this move. I love the small-town environment here. We don’t have movie theaters, galleries, and the sophisticated things you get in a big city. But the island is truly beautiful. We spend a lot of time outdoors. If this sounds like the place you’d like to call home, join us in Belize City for our eighth annual Live and Invest in Belize Conference, Jan. 18–20, where our experts and expats will give you the full story on your living options—from lush jungle to laid-back Caribbean beach—and everything you need to know to prepare practically for your move. Posted in Live And Invest Overseas Confidential and tagged live and invest conference in belize, retire to belize.